I see these all the time. 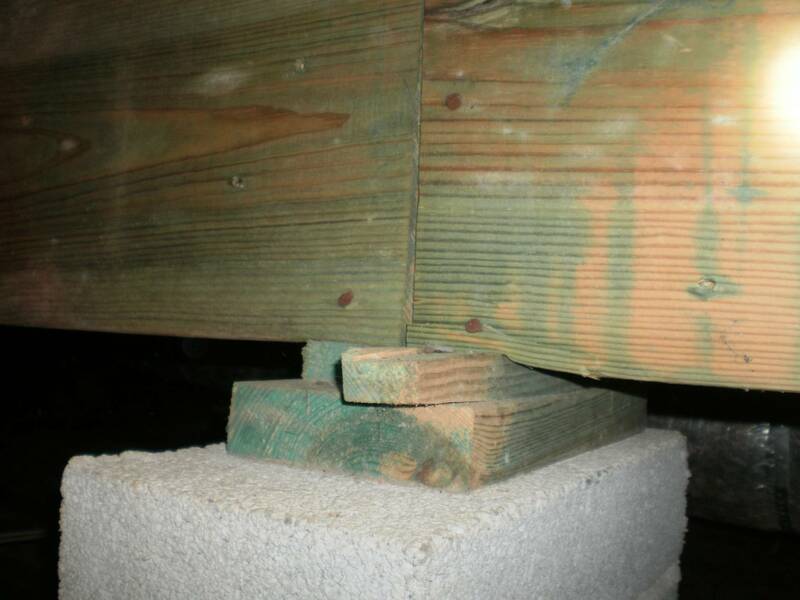 If you wonder why your floor is sagging, start by looking at the main support beams. Are they compressing at near the columns? This is another photo of another compressed beam that has sagged about 1″. If you are wondering why your house is settling in the middle or why there are cracks in the drywall, the answer may be that the main beam has compressed. 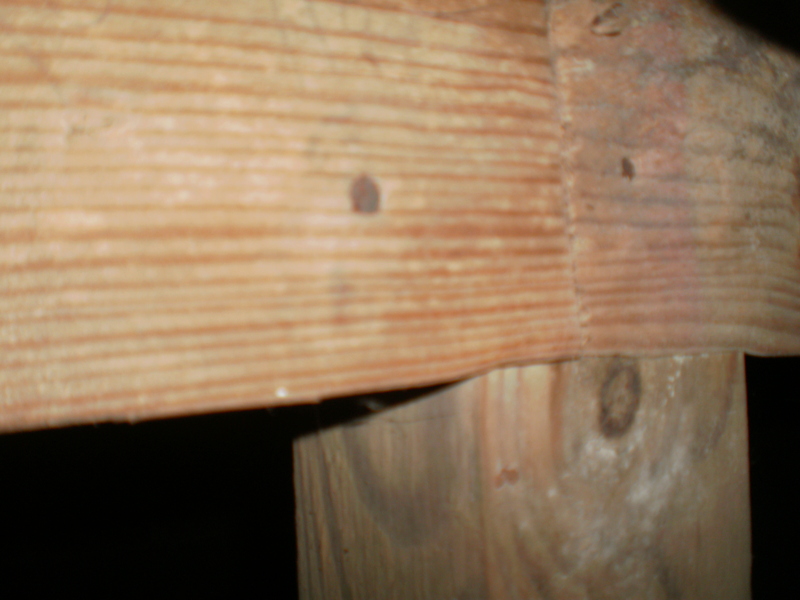 When the shims are undersized or the wood is damp (from high air moisture levels) the wood of the main beam can compress. 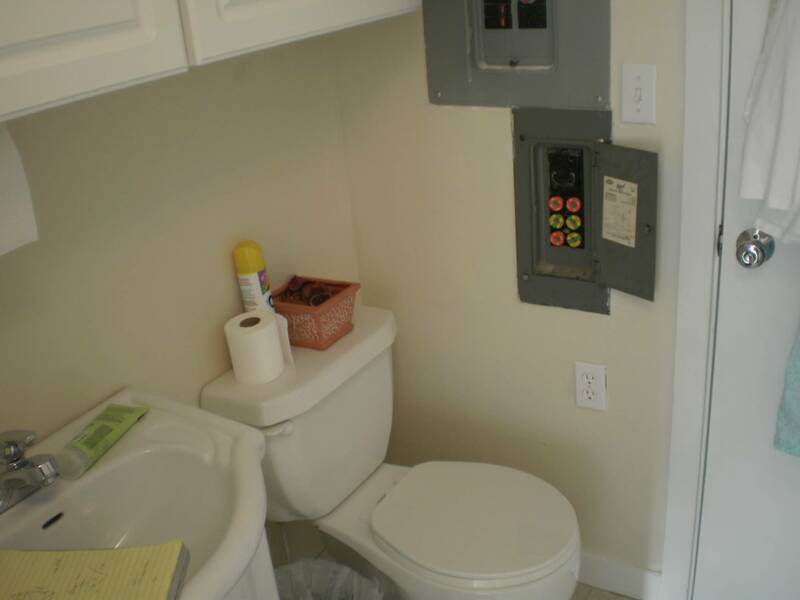 This causes the floor to settle and move downward. Kitchen sink does not have a trap. I don’t want to be sitting here when the sparks begin to fly!